The global bakery products market is forecast to reach $447 billion by the year 2017, according to a report from Global Industry Analysts. This growth largely will be fueled by new consumer preferences for conveniently portioned, easy-to-consume bakery goods. And a few layers within that flaky croissant lies another huge trend: the emphasis on healthier eating, and specifically on increasing fiber intake. According to the Centers for Disease Control, Americans should eat 14g of dietary fiber for every 1,000 calories. The Mayo Clinic further states that men 50 years old and younger should consume 38g of fiber per day, and older men should get at least 30g daily. For women, it's 25g of fiber for those over 50 and 21g for women under 50. While there are a variety of fibers available for bakers to include, powdered cellulose has proven to have versatile functionality. Solka-Floc, JustFiber and NutraFiber are brands of cellulose from International Fiber Corp., North Tonawanda, N.Y., that can enhance the structure of baked goods in many ways. Depending on the fiber's polymer chain length, powdered cellulose can retain about 3.5-10 times its weight in water. This increased moisture retention can help extend a product's shelf life. Moreover, these fibers are considered gluten-free and contribute zero calories, all without negatively impacting textural characteristics and volume. "In general, low levels — 1-2 percent — of functional fibers are recommended for product improvements, whereas higher levels — 5-8 percent — are used for fiber enrichment," states Ramakanth Jonnala, research project leader for cereal science at International Fiber. Solka-Floc and JustFiber can act as pseudo-emulsifiers in cake and muffin batter systems he explains. "These fibers can improve the aeration process, resulting in better air cell retention and larger volume. And depending on the formulation and processing conditions, these can increase the volumes in baked goods 5-20 percent, while improving moisture retention and extending shelf life." Sales of gluten-free products in the United States are predicted to reach $1.31 billion this year, according to Euromonitor International, and are expected to hit $1.68 billion by 2015. Retail bakers named gluten-free as the largest health trend affecting their bakeries in 2010. According to the USDA, the U.S. is the world's largest consumer of sweeteners, and many Americans still have a "sweet tooth" that must be appeased. When choosing a sweetener, bakers should consider the multiple roles it will play in a product and the sweetness level the product requires. Sucrose ("table sugar"), a fructose-glucose disaccharide from either cane or beets, represents the sweetness standard, typically rated at 100 percent. In comparison, fructose's sweetness level equals 140 percent and glucose (a.k.a. dextrose) is 70 percent. 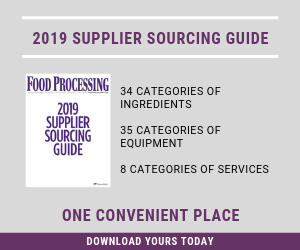 "There is growth in products with reduced sugar in order to lower the overall caloric content," says Eric Shinsato, a technical manager for Ingredion Inc., Westchester, Ill.
Stuart Cantor, Ph.D. has written extensively for the leading U.S. and European food trade magazines. His expertise encompasses development of controlled-release tablets and capsules as well as a variety of nutraceutical formulations and scale-up of products for healthy glucose management, weight loss and other health-related conditions. He can be reached at stubee2@gmail.com. For sugar-free products such as cookies, it is not so much the bulk and texture that are difficult to duplicate. "Maltitol syrup and crystalline maltitol can both be used to replace sugar in baked goods and still achieve the desired taste and textural characteristics," he says. "However, maltitol is not a reducing sugar and does not contribute to browning when baked. Color development may come from other naturally occurring sugars or proteins or may be enhanced with natural colors such as caramel." Stevia, the high intensity all-natural sweetener extracted from the leaves of the stevia plant, is finding applications in many product categories, and bakery is no exception. "Recent product introductions in the baked goods segment have used either stevia as a stand-alone high-intensity sweetener or in combination with other natural high-intensity sweeteners, such as monk fruit extract. However, when formulated properly, stevia can be the single source for sweetness," notes Shinsato. High-intensity sweeteners do not provide the bulk of sugar, however, and typically need to be paired with low-calorie carbohydrates to give the necessary volume. Polydextrose is a common bulking agent, providing minimal sweetness on its own and one-fourth the calories of sugar (1kcal/g). Sucralose has a taste profile similar to sugar and considered by the FDA to be non-caloric. It's about 600 times as sweet as sugar and maintains its sweetness over a long shelf life — unlike some other no-calorie sweeteners. It can be used to sweeten baking mixes, ready-to-eat and frozen baked goods, pie fillings, and cake frostings or icings. Also unlike other artificial sweeteners, sucralose is heat-stable at up to 450°F, so it can be used as a replacement for sugar in cooking and baking. The major drawback to cooking with sucralose was found to be that it does not produce the browning or caramelization the way sucrose does. According to the National Honey Board, honey's use in the baking industry extends well beyond sweetening, and includes increasing the shelf life of bakery foods through the three main factors that help maintain crumb softness: preventing moisture transfer, delaying starch recrystallization or retrogradation, and hydrolyzing starch. Liquid honey is hygroscopic and enables products to maintain their moisture content far longer than products that use dry sweeteners. Also, since honey has an average water activity of 0.55, it does not give up its water easily and acts as a natural humectant. The amylase enzyme present in honey promotes crumb softness by effectively hydrolyzing the starch, thereby contributing to moisture retention. Honey acts to extend a bakery product's shelf life in two ways. First, the ingredient's high acidity (average pH 3.9), inhibits mold growth; second, the fructose content helps to lock in a product's moisture level during storage. However, for bakers looking to replace their existing sweetener with honey, there are a few processing considerations. The sugars present in honey are precursors to the Maillard reaction, which means that they provide natural color and browning to the finished product. As a result, bakers should reduce their oven temperatures by up to 25°F to prevent over-browning. Moreover, when using honey, bakers also often have to reduce the liquid level to accommodate for honey's average moisture content of about 17 percent. Gums and starches are used to adjust the viscosity, texture and mouthfeel of baked products and also help stabilize bakery toppings and icings and prevent fruit fillings from running or boiling-out. They also can be used to replace solids and can act as fat-replacers. Water-soluble gums – hydrocolloids — can bind as much as 100 times their weight in water and increase freeze-thaw stability with practically no syneresis. Additionally, gums are also high in soluble dietary fiber, about 85 percent on a dry-weight basis. Soluble dietary fiber has been shown in numerous scientific studies to reduce serum cholesterol and have other health benefits. Some of the more popular hydrocolloids that provide functionality to baked goods include guar gum, sodium carboxymethylcellulose (CMC), xanthan gum and pectin. Guar gum can add a chewy texture in cookies and bagels, and xanthan gum is quite pH- and heat-stable, and is used to improve rise in cakes and breads. CMC gum is odorless, tasteless and forms clear solutions; however, it is not considered all-natural. "The viscosity of CMC ranges from very low to very high. It also improves the quality of frozen doughs during storage as it helps prevent the growth of large ice crystals," says Maureen Akins, technology manager for TIC Gums Inc., Belcamp, Md. "Pectin is an all-natural gum derived from fruits, so it's intuitive that it works well to stabilize fruit fillings. "The increased global demand for guar gum has resulted in the development of guar gum replacements and extenders," continues Akins. The company's Ticaloid GR-5420 is designed to replace guar gum in bakery mixes, bagels, breads and other bakery items. "This gum blend yields equivalent batter viscosity and dough texture, and is also able to retain moisture and maintain crumb structure. Moreover, Ticaloid LC SR-5 was developed to address the need for increased fiber in people's diets. It allows for the creation of breads fortified with both soluble and insoluble fibers. When used to replace up to 20 percent of the flour in a bread, Ticaloid LC SR-5 delivers about 4 g of soluble dietary fiber per 50-gram slice," she concludes. Chocolate is a key ingredient in many popular baked goods. In order to keep ahead of the curve of cocoa price and supply fluctuations, volume bakers can consider using an all-natural, trans fat-free, whole grain ingredient derived from malted barley as a partial cocoa replacer. "CocoaPlus cocoa replacers are cost effective and function well in compound chocolate and many baked goods," says Judie Giebel, technical services representative for Briess Malt & Ingredients Co., Chilton, Wis. "Depending on the application, they can replace from 1-50 percent of the cocoa powder. Priced at about half of the cost of cocoa, manufacturers can realize substantial cost savings. Since this product is malted barley flour which has been roasted, there will be minimal or no label changes required." Briess provides eight CocoaPlus cocoa replacers in a range of flavors and colors from light browns to red to black. Cocoa replacement rates can go up to 20-25 percent for fudge-type brownies and 25-30 percent for cakes and cake-type brownies. "In a blind taste test, 66 percent of participants could not tell which brownie was made with cocoa powder and which brownie was made using 20 percent CocoaPlus N100," notes Giebel. Lower cost alternatives to butter also are available. All now typically contain either zero or reduced levels of trans fats per serving. For example, Golden Award NT is a trans fat-free liquid butter alternative made with high stability canola oil by Bunge North America, St. Louis. "Golden Award NT is economical to use, costs less than butter and gives baked goods such as breads, rolls and croissants a ‘buttery' taste," says Bill McCullough, a vice president for Bunge. Moreover, it does not contain water or milk solids, which results in reduced splattering and scorching during processing." Another Bunge product, Vreamay RighT Premium cake and icing shortening, functions across a wide temperature range, in any scratch-cake or icing formula, and produces smooth and creamy icings which are freeze-thaw stable. "Other benefits of this ingredient are that its use produces high volume, symmetrical layer cakes and makes full-bodied decorator icings that hold their shape," adds McCullough. Natural Ovens Bakery, Manitowoc, Wis., began more than 35 years ago and actually blazed the trail for other bakers to follow suit and produce healthier baked goods. For example, the company's Brainy Bagels use fresh shredded carrots baked into the product. Several of the company's breads utilize either organic sugar or brown sugar as a replacement for high fructose corn syrp. The organic whole-grain and flax bread is made with semolina flour to yield a lighter, unique flavor and also contains inulin as a prebiotic fiber. The bakery also adds 250-350mg omega-3 fatty acids (derived from organic ground flaxseed) to some of its breads and manufactures a bread for carbohydrate conscious consumers containing only 10g of carbohydrates per slice. Cupcakes, miniature cakes and artisanal breads are still popular with consumers. The use of fresh herbs at Bien Cuit bakery, Brooklyn, N.Y., gives its breads and rolls an enhanced taste appeal with consumers increasingly looking for back-to-basics products. Herb varietals include oregano, sage, chive, tarragon, rosemary and thyme–with some plucked from the bakery's own garden. The bakery also sources herbs and other produce from local area organic farms. Other trends still hot include catering to carbohydrate-conscious consumers, eliminating HFCS and fortifying products with omega-3 fatty acids.